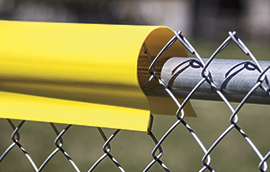 Our Safety Top Cap™ is just the thing to finish off your chain link fence and provide protection from injury at schools and ball parks. The Safety Top Cap™ is available in two configurations – Regular and Lite. Each serves two primary purposes. First, their unique design provides protection against bodily injury by covering the exposed knuckles or barbs on the top of a chain link fence. Secondly, they display nicely as a decorative trim piece to complement any galvanized or color chain link fence system and give it a finished look. Design – Standard model: Durable, flexible plastic in an open tubular shape. Lite model: Lighter weight, yet still durable and flexible plastic in an open teardrop shape. Installation – Simply “snap” over the top of the fence and lock to the wire mesh with the steel hog rings (included with each package) through the pre-drilled holes. 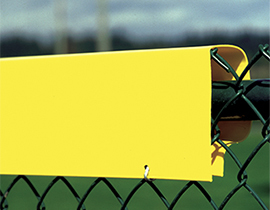 Uses – Primarily used in a safety-yellow color for baseball outfields, but is also growing in popularity at all athletic fields, parks, playgrounds, and recreational facilities, as well as in residential and commercial applications. 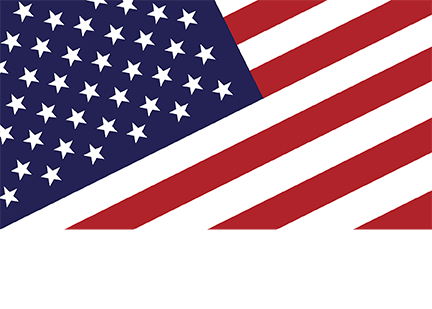 to endure high impact and to resist the harmful effects of the sun and severe weather conditions for many years of continued use.